Some Nokia Lumia 800 owners are receiving the Windows Phone 7.8 update earlier than expected, according to reports on Monday. Dutch site WP7.nl has claimed that the long-awaited upgrade has become available via the Microsoft Zune syncing software. "I just hung my Nokia Lumia 800 to Zune to justsome photos to sync and tadaaaa! There is an update ready!" the site reported (translated). Not all users are detecting the update so it may be that Nokia is rolling out the new software to selected users or in certain territories initially. 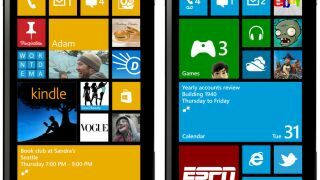 The Windows Phone 7.8 software was launched as a second prize for owners of handsets like the Lumia 800 and Lumia 900 who will not be able to upgrade to Windows Phone 8. It brings many of the same features, including customisable Live Tile sizes and the ability to set Google as the default search provider within the Internet Explorer app. The update was not expected to arrive until "early 2013," but just this weekend it appeared unofficially on the NaviFirm servers.